We are reckoned amongst the most trusted name engaged in offering a superior quality range of Billing Printer. This printer is precisely manufactured by our experts following high definition engineering principles and utilizing optimum quality factor inputs. Durable in nature, this printer is tested properly against various parameters in order to deliver defect free range. Client can purchase the offered range from us at economical prices. - Top exit- ideal for all retail applications. 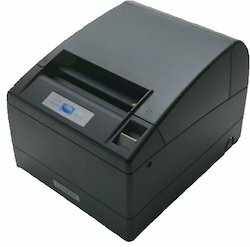 - Prompt print out of receipts upto 160mm per secound. - Future proof investment, 2 built in interfaces- serial & USB. - Flexible cutting - full or partial. - Easy notification- built in buzzer. - Low space requirement- integrated power suppluy enables clean work station. - Paper width 58 mm. - Quick & easy media changing- drop in paper loading. - Flexible cutting- full or partial. - USB or SERIAL interfaces. - Print speed 80mm per sec. - Front exit - prevent damage from moisture or foreign objects. - Fast print out of receipts - upto 200mm per second. - Low space requirements - integrated power supply enables clean work station. 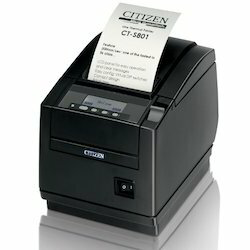 - Ultra fast printout of receipts- up to 300mm per secound. 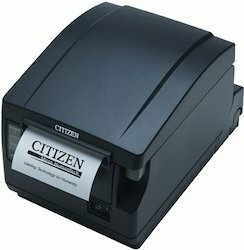 - Unique 2 color, customizable LCD display enables intitive operation & maintenance. - Easy notification built in buzzer. Top exit - ideal for all retail applications. 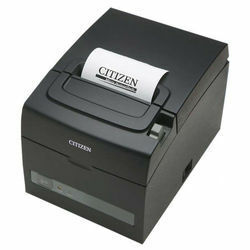 - Prompt print out of receipts upto 150mm per secound. - A4 printer replacement- compress driver scales down documents. - Low space requirement - integrated power supply enables clean work station. - High speed printing 6 lines per secound. - low space requirement - integreted power supply enables clean work station.